An unspoilt village with a pretty 16th century church, small square and aesthetic wooden buildings, St Martin de Belleville is a quiet and relatively inexpensive resort. Situated at 1450m and at the entrance to the Vallee des Belleville, this traditional Savoyard ski resort has been developed in a sympathetic manner to meet the growing demands of holidaymakers while keeping its own unique charm. 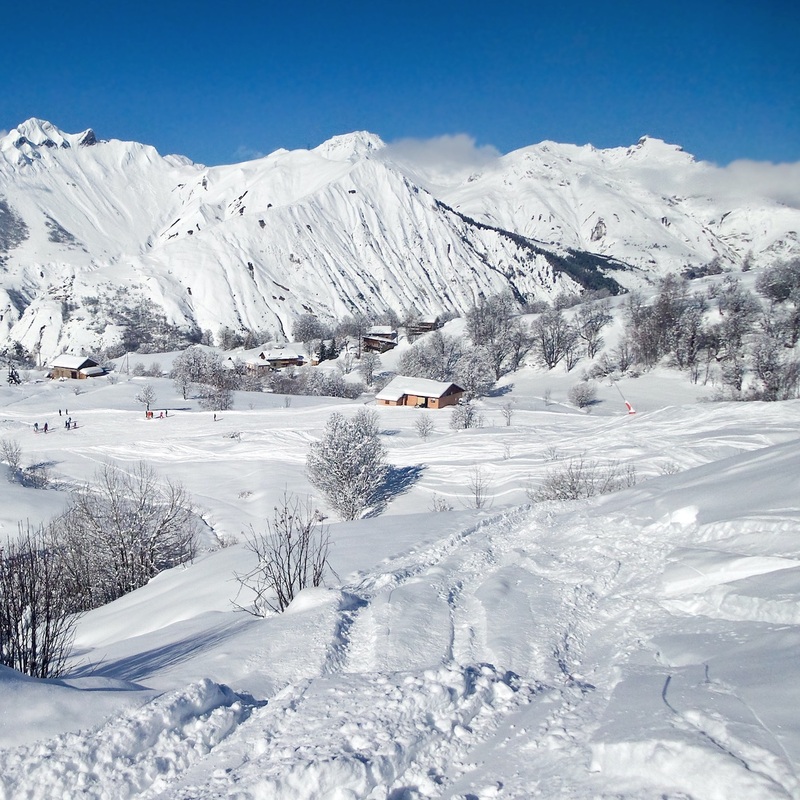 The combination of a traditional and charming setting plus easy access to the Trois Vallees and its huge ski area makes Saint Martin a perfect destination for families and serious skiers alike. The village has stayed true to its origins but also offers high quality chalet accommodation, a friendly atmosphere and gourmet cuisine. St Martin de Bellevile has little in the way of raucous nightlife but is perfect for families looking to make their own entertainment in the evenings. There are some nice local shops, and far from being a backwater it has the first Savoyard restaurant to have gained 3 Michelin start - La Bouitte. Both low-cost shared transfers and convenient private taxis are available between Geneva airport and St Martin de Belleville. 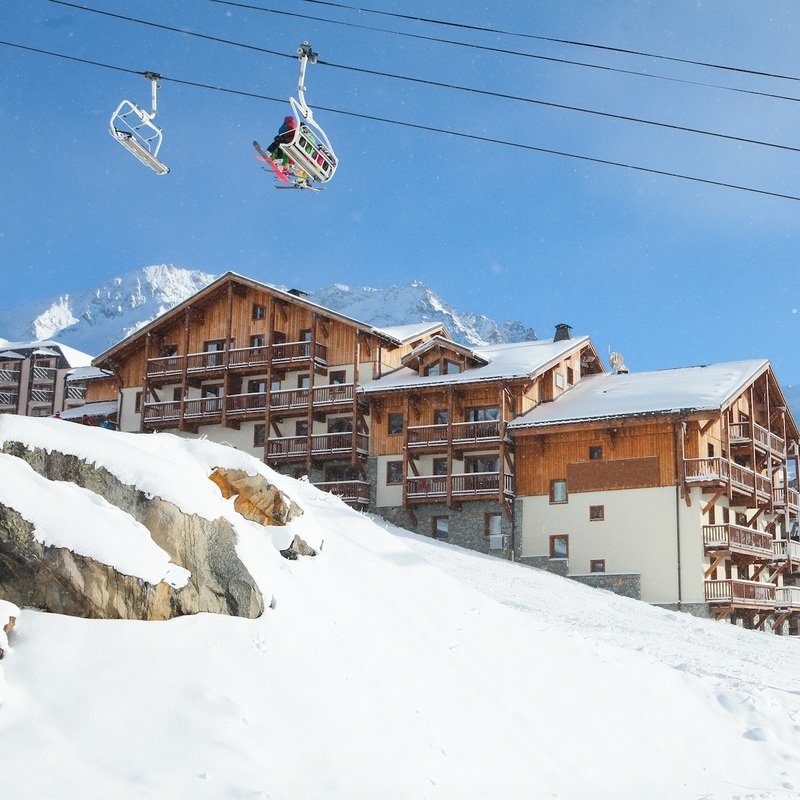 As part of the Val Thorens line, St Martin gets its own dedicated shared transfer bus line which means cheap transfers running quickly between airport and ski resort. Coaches run to and from St Martin de Belleville on Wednesdays, Fridays, Saturdays & Sundays throughout the winter season. Private taxis are also available to be booked seven days a week from Geneva airport. Shared transfers operate on Saturdays between St Martin de Belleville and Grenoble airport which provides an economic method of travel for groups and individuals. The journey to and from Saint Martin is one of the quickest Snowbus run which means the minimum amount of time spent on the coach. Our private transfers minibuses also operate every day of the week and can collect from Grenoble airport at any time to suit your group. As the closest airport to Saint Martin, private transfer to Chambery airport is one of the quickest and most convenient journeys we deal with. All our drivers know the local roads well and can plan the best route between airport and ski resort to ensure the shortest journey possible. Our minibuses can take 1 - 19 passengers easily, and larger coaches can also be arranged on request. Lyon is a slightly longer journey than other airports, but our private transfer drivers know the best routes to get you there quickly and safely. Taxis for groups of up to 19 passengers are available seven days a week, and we fit everything around your flights so there’s as little time spent waiting as possible. Our minibuses have enough space for all your luggage, and we can provide child seats completely free of charge for travel between Lyon airport and St Martin de Belleville.